Brazil striker, Neymar is happy he will not have to go up against Lionel Messi, when they take on Argentina in Saudi Arabia on Tuesday. 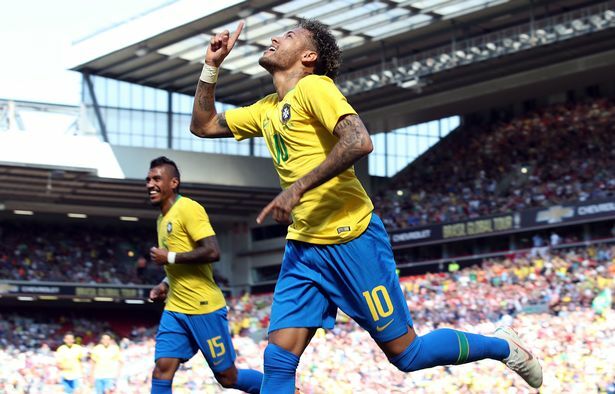 Neymar admits the absence of his former Barcelona team-mate is a blow for the spectators watching the game, but he feels it gives Brazil a greater chance of overcoming their rivals. “For those who love football, having Messi out of a game like this is bad. But for us it’s good. “We never underestimate Argentina’s quality, the players they have in their squad. “Argentina have Dybala, who is a player that I really like, so we have to be switched on. “It’s a very difficult game. We will have to do our job and it’s always good to play them. There are no favourites,” Neymar told a pre-match news conference.